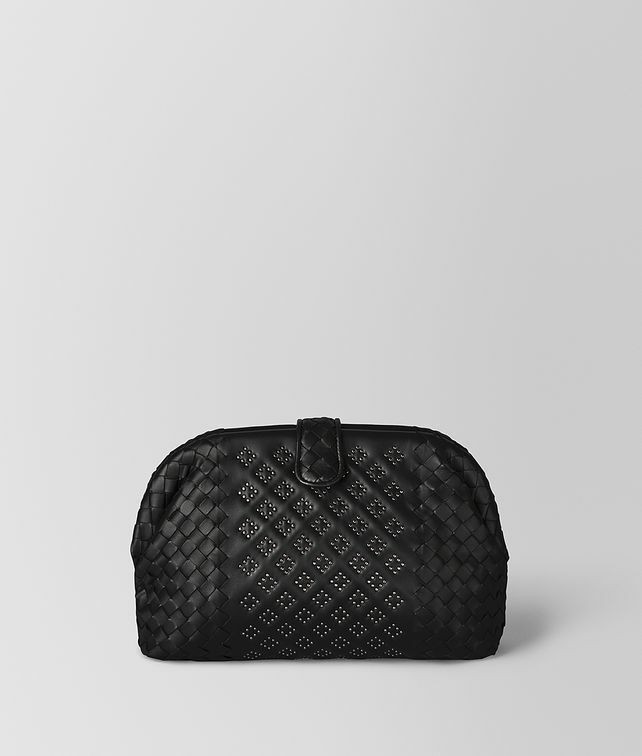 The iconic Lauren 1980 clutch is beautifully handcrafted from supple nappa leather. Its signature intrecciato weave graduates to softly quilted panels punctuated with microstuds in a geometric pattern. The top is fastened with a magnetic button flap and the interior is fitted with a zipped pocket.